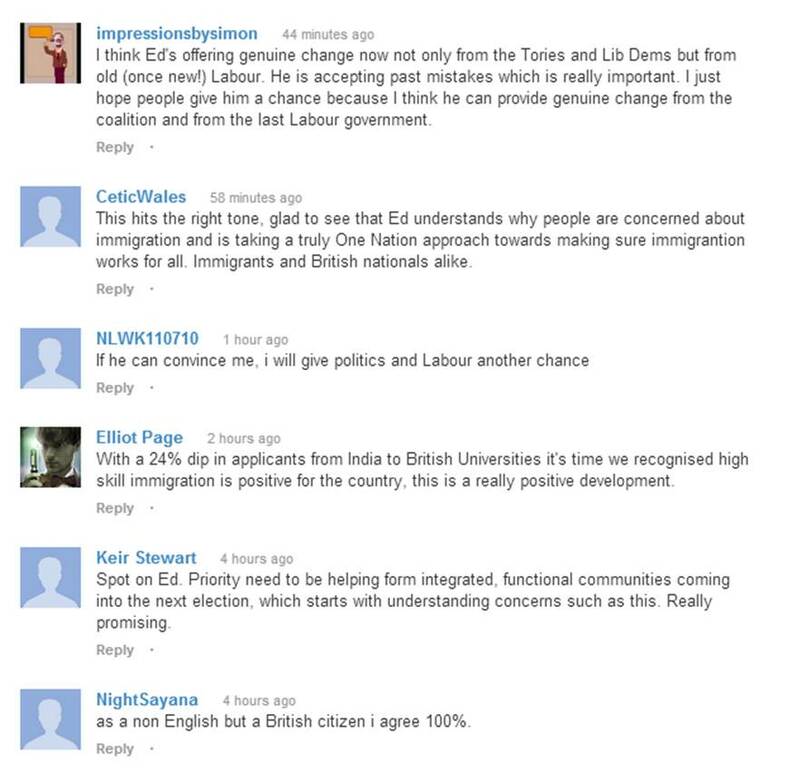 Ed Miliband stars in a new party political broadcast by The Labour Party on the topic of immigration. I wish it wasn’t important what a politician sounds like, but unfortunately it does. And Ed Miliband’s voice sounds really very odd in this broadcast. You can’t help The Leader having a cold on the day on the day of filming, but it doesn’t help the communication. That aside, it’s a fairly solid broadcast. It seems that the political parties are more focused on not letting the googly of a political broadcast result in them hitting their own stumps, rather than attempt to hit it for six. The comments section of the broadcast on YouTube watch page is also hilarious. The YouTube commenting community are not known for their unconditional ‘on message’ support, so either there has been an outbreak of contentedness or the Labour Party have sent out a message asking friends to post.